Yesterday was my daughter, Naomi’s, 30th birthday. This is milestone for her, and me. She is the first-born, and I realized this morning that being a first in the family brings with it an obligation to “set the bar” for all of the siblings. First to talk, walk, go to school, try sports or the arts, and then the other siblings that follow are always compared to their big sister or brother. My wonderful, mother posted a beautiful baby picture of Naomi on Facebook, and it reminded me that we are fortunate to have been able to record some really unique history with the entire first-born in our family. So let me share some of our family tree with you, as I have five generation pictures for all of these groups. First there is me, Renee Roberta, first-born to Jim and Joan Weise; first grandchild to Harry and Anne Nehls, first great-grandchild to Carl and Iva Quist, and first great-great grandchild to Mae Lane. This picture was taken in 1961 in Des Moines, IA. Next along came Naomi Carolyn, our first-born, first grandchild to Jim and Joan Weise, first great-grandchild to Harry and Anne Nehls, and first great-great grandchild to Carl and Iva Quist. The picture with Naomi was taken in Merrill, WI in 1981. Naomi was only 2 weeks old here. Her Grandma’s were so anxious to meet her! Then along came Evan Patrick, first-born to Naomi and Brad Daily, our first grandchild, first great-grandchild to Jim and Joan Weise, and first great-great grandchild to Harry and Anne Nehls. This picture was taken in 2006 in Gurnee, IL. Evan was a trooper on the plane ride to Gurnee. Whew! That’s a ton of history for you, and now your mind is boggled. 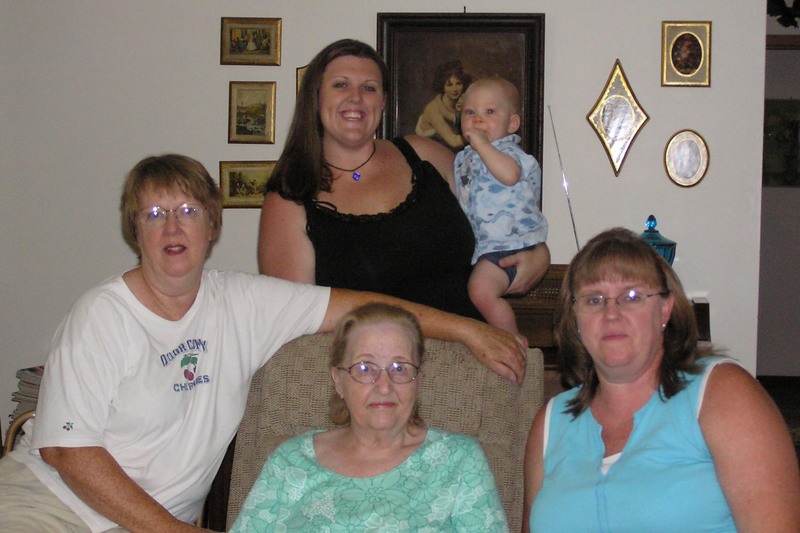 This is a somewhat prestigious group, as we have all had five generation pictures taken, and then I realized I have been in three of them along with my Mom and Grandma. 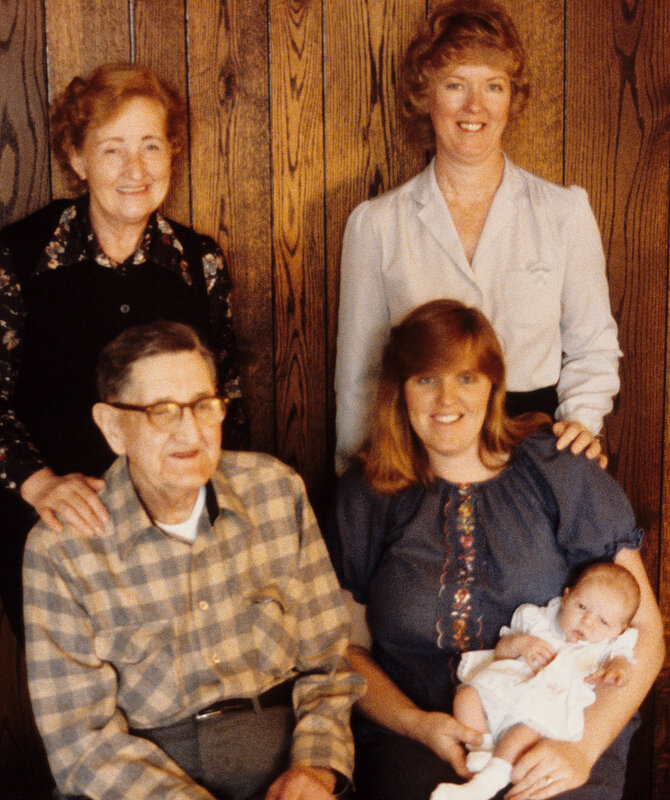 Also, it occurred to me that my Mom was a first grandchild too. Wow!!! It is such a special treat to be able to look back on these pictures and get a glimpse of our family history. How many of you out there are firsts? 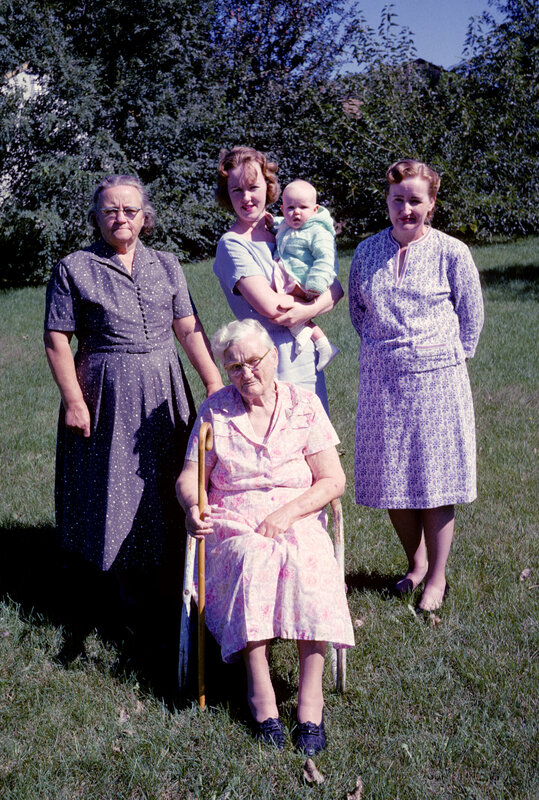 Are you lucky enough to have a five generation picture? Oh and to the rest of the siblings in all of the families, you’re important to the family tree too. Your just not the first! Great story! I was a “first” but my Mom, Anne, was a “third”. When I was born I don’t know if I was a 5th generation. I’ll have to check that out. I do remember my great grandparents, Elmer and Mae Lane, seeming really ancient.